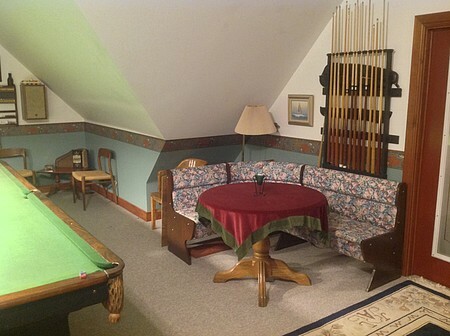 Hollow's End- Games Room by the Marsh - Dundas Your private loft includes a spacious games room with snooker table, Bimini Hook, Darts, Guitar. A granite kitchen and bath, and a canoe to paddle Lake Jojo. Its just one portage to Cootes Paradise. 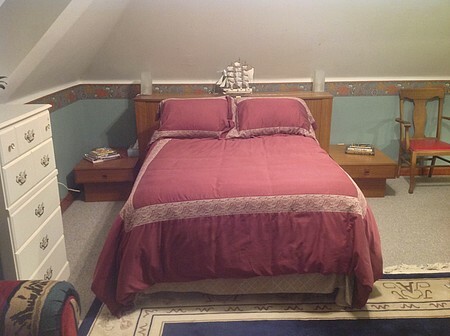 The double bed is comfortable and cozy, with two night tables and lights. A spacious private loft in a Custom Built Home, situated on a cul de sac. Owner is a musician. Owner may socialize only at your request. Otherwise will respect privacy. 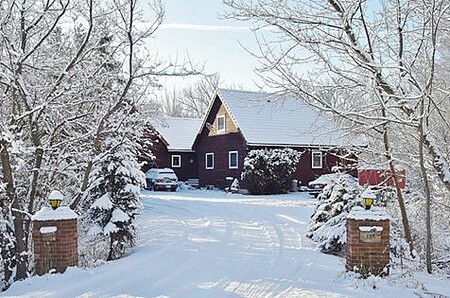 Outside there are 2 small lakes a 5 minute walk away, and trails lead from the back of the house into the woods, where you’ll see waterfowl, birds, deer, turtles, and other wildlife. Downtown Dundas is a 20 minute walk away. McMaster University is a 25 minute walk. Toronto and Niagara Falls are approximately a one hour drive. Restaurants and pubs recommended include Winchester Arms ( English Pub ), Collins, and the Thirsty Cactus. Check In/Check Out : Check in from 5 p.m. Check out 11 a.m. Cancellation : Cancel 24 hours for a full refund.